Taken November 17, 2016, during our first snowstorm. 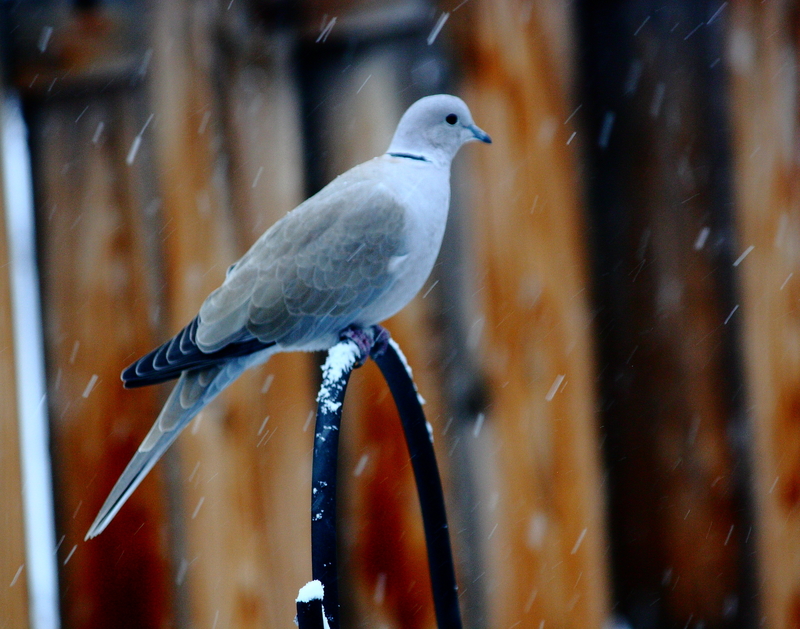 This is an Eurasian Collared-Dove, an exotic bird species that has been making its way west since its release in the Bahamas during the 1970s. We’ve still got Mourning Doves in our neighborhood, but the most common dove sighting in our backyard is one of these.